Happy Earth Day weekend to you! The City Council spent most of this week’s meeting on two appeals. In both cases we upheld the decisions of the Planning Commission, but both typify the challenges we face in our dedication to making fair and logical decisions. The first appeal involved a homeowner trying to get a permit to tear down his existing home in Leucadia and build a new 2700-square-foot residence, with a 600-square-foot accessory unit. His neighbor opposed the project, asserting that the development would exacerbate flooding on his property and in the neighborhood. The City Council unanimously approved the project and denied the appeal, finding that the proposal went well beyond the minimum storm-water requirements with three separate solutions — a bio-retention basin, underground storm-water storage and previous pavers that filter out impurities. These facilities will actually soak up more water than the property absorbs now. The irony of flooding problems while we’re in a state of near-permanent drought strikes me. The City Council realizes flooding is a serious issue in Leucadia, and we’ll be looking at possible solutions when we discuss how to allocate the city’s budget surplus. I recently attended a talk at the Leichtag Foundation by an Australian water expert who urged us to think differently about water and the management of urban runoffs. I’m hopeful that we’ll have this conversation at the City Council level with an eye toward innovative solutions. A recent proposal for a concrete-like culvert in the rail corridor prompted similar thoughts about protecting and conserving our limited water instead of building systems that whisk it all down the drain as quickly as possible. The evening’s second appeal involved the proposed expansion of the Shell gas station on Leucadia Blvd. to include a carwash, larger market, vacuums and an additional gas pump. The council heard from 18 speakers, 16 of whom opposed the expansion based on their concerns about a design that didn’t match the neighborhood, additional traffic congestion, interference with a future neighboring residential development, noise from the car wash, the possibility of likely future alcohol sales, and excessive illumination and signage. Appeals end up with the City Council because reasonable minds can differ in applying the code to the facts at hand. If there wasn’t any room for discretion in decision-making, then appeals wouldn’t come before us. We take this responsibility very seriously — our council decisions have to be based upon the record and the evidence presented. This week, I requested that we examine the city’s policy on giving up rights of way. I am concerned that we’re routinely vacating, or giving away, small segments of our roads without evaluating their possible future uses for biking, walking and other mobility. If these small sections of road don’t currently appear on any master plan, then the city processes these “vacations” if an applicant pays a processing fee. This allows homeowners to build bigger homes because of larger setbacks, or to fence off or use a section of a once-public road. I’m not opposed to giving up the right of way if we do a full analysis to determine that the roads won’t eventually be used to connect people with places, such as schools or parks. But I’d like us to have a process that gives future City Councils flexibility to make transportation network decisions without being boxed in by these routine abdications. I was grateful that the majority of my colleagues supported my motion. 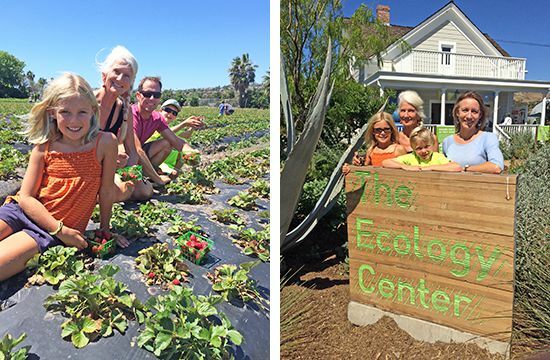 Last weekend, the Blakespears and my mom Tricia A. Smith visited the Ecology Center in San Juan Capistrano. We participated in their Spring Festival that featured pickling, tea-making, planting, chickens, live music and strawberry picking at a next door organic farm. It was an inspiring, home-spun, vibrant, community-based agricultural experience that we thoroughly enjoyed. Water rates actually going down? At the Water District this week, we unanimously approved moving from a Water Supply Shortage Response Level 3 down to Level 2, because the water district has received an 8% credit for water that comes from the new Carlsbad Desalination Plant. So we’ve eased the drought rates slightly, resulting in a 3% reduction in our water bills (about $4.20 bimonthly), plus residents can now refill their ornamental lakes or ponds. Of course, we still need to conserve because El Niño didn’t produce the precipitation we’d anticipated. Our conservation target has been lowered from 28% to 20% less water than what we used in 2013. On average, we’ve conserved 18% since the drought restrictions began. Outdoor watering is still permitted only twice a week, but hand watering of vegetable gardens is allowed. We’re moving toward getting a suitable Rail Trail back on track. After my suggestion that a Rail Trail Working Group be formed, we received a lot of interest from folks interested in serving. The mayor said at this week’s meeting that she’d like to accept applications for the position instead of simply appointing. An application is being developed, and I’ll include a link to it when it’s ready. 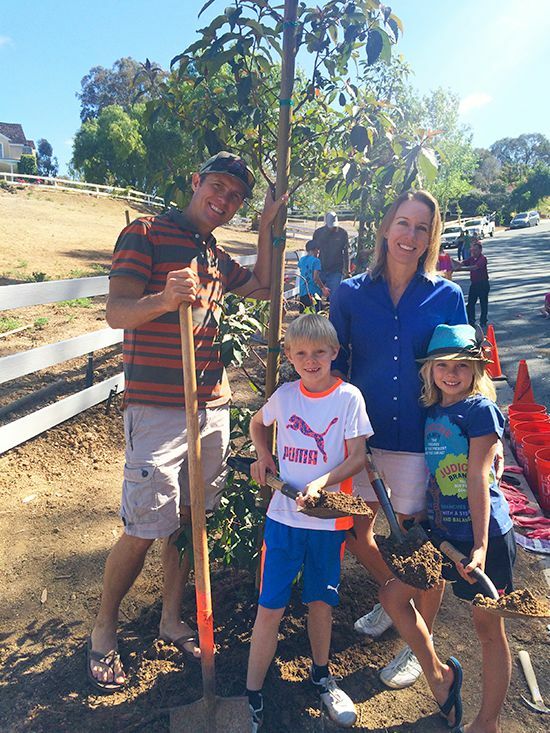 We celebrated the importance of trees on Arbor Day by planting trees in Olivenhain along a public street.